I laughed and bought a bigger price sheet. We kept making those nontoxic cleaners and in 2003 created the first USDA non toxic cleaning product formulated specially for Yoga Mats. Other sprays and organic cleaners followed, many with USDA organic certification from VOF. 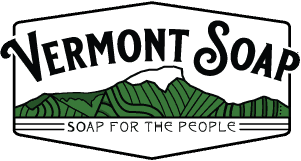 Natural cleaners are now a multi-million dollar business, and Vermont Soap still makes the cleanest, most natural ones of all. If you are considering expanding your line, outsourcing your in-house production, or you have a cool green cleaner idea and are looking for a reliable factory to work with, give us a call! We would be happy to work with you to make your non toxic cleaning product. Please see our Private Label FAQ page for more information or contact one of our private label specialists.